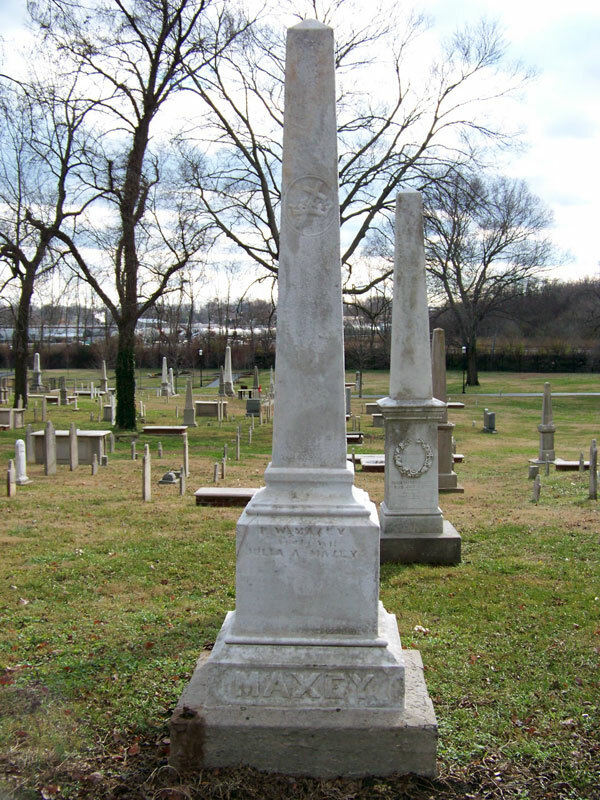 Powhatan Woolridge Maxey was born May 2, 1810 in Nashville, Tennessee, the 13th child in a family of 14 children. His parents were William and Margaret Maxey who lived at New Hope, which today is the Inglewood community in the eastern part of Nashville. Maxey married Julia Hobbs on October 18, 1832. They had two sons and one daughter. Both sons died in the Civil War. At the age of 16, Maxey entered into a tinsmith’s apprenticeship with William H. Moore. He would become a successful tinsmith, known for his artisanship and business acumen. In 1840, Maxey entered into a business partnership, which lasted 15 years, with Newton McClure. In 1848, he purchased 640 acres near the current Riverside Drive and McGavock Pike and built a large home for his family. Known to be opinionated, Maxey became an Alderman in 1835 and was reelected six times. In 1843, he was elected as Mayor and reelected the following year. He later became a Justice of the Peace and a member of the County Court and would hold that position for almost 30 years. During the Civil War Maxey was an ardent Unionist. In 1865, President Andrew Johnson appointed him the Chief Pension Agent for Nashville, and he would serve in that position until 1869. As Maxey became Mayor, a wealthy former Mayor, William Nichol, along with George W. Campbell, a former Envoy to Russia, United States Secretary of the Treasury, and U.S. Senator began acquiring land around the present-day Capitol Hill. 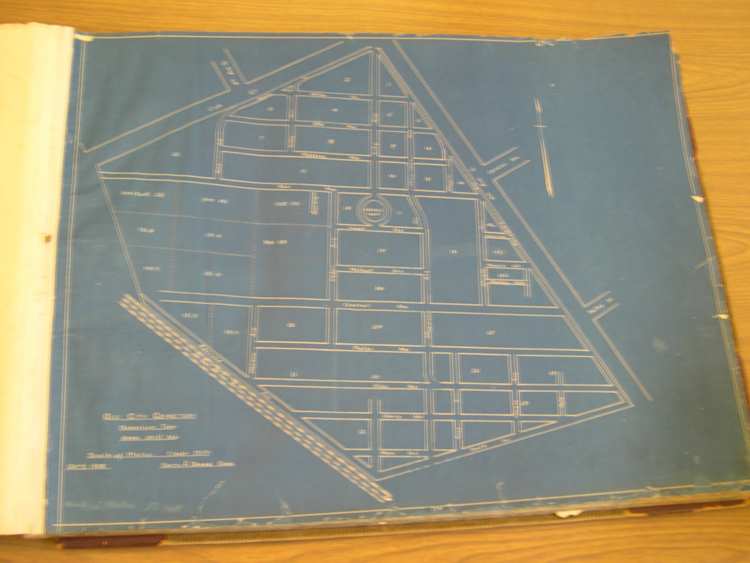 Maxey used his political capital to arrange a buyout of the land acquired by Nichol and Campbell for $30,000. In turn, Maxey offered to donate the land to the Tennessee General Assembly provided the state capitol would be located on that property in Nashville. 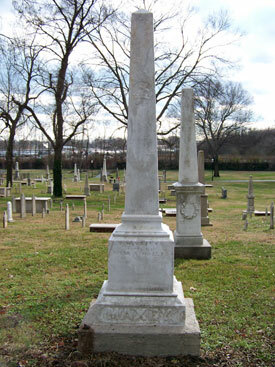 Powhatan Woolridge Maxey died of heart disease on August 8, 1876 at the age of 66. Funeral services were conducted at Hobson Chapel Methodist Episcopal Church South by Reverend Doctor John B. McFerrin and Reverend Doctor Albert G. Kelly. 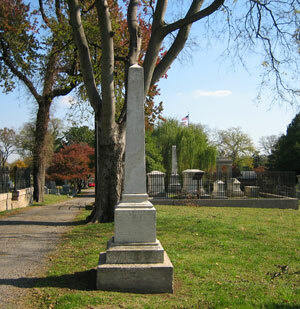 Maxey is buried at the historic Nashville City Cemetery. Research completed by Thomas William (Toby) Compton, a Public Service Management graduate student at Cumberland University.